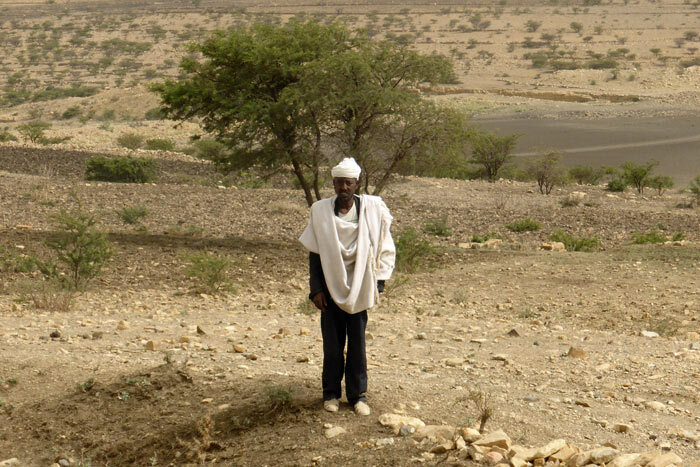 Intense watershed management and water harvesting in the state of Tigray, northern Ethiopia, have transformed the area beyond recognition and increased food security and enhanced resilience to floods and droughts. A new way of thinking about watershed management and the efforts of local farmers have contributed to the success of a number of initiatives. The watershed activities in the semi-arid regional state, receiving 400-800 mm of rainfall each year, have restored vegetation, caused groundwater levels to rise and reduced erosion. Soil moisture has increased and in many places productivity has more than doubled. Much of the change has been due to government programmes, coordinated at the regional, district and village cluster level. What are some of the keys to this success; what have farmers experienced on the ground; and with over 15 years of experience in watershed management, what next for the region? A new way of looking at watershed management has been an important success factor in Tigray. Before 2000, the emphasis in watershed management was on controlling soil erosion. About 15 years ago the focus shifted more to water harvesting and retaining moisture. The 3R principle – recharge, retention and reuse – explains the logic behind this approach. The central concept is to keep water in the landscape by storing it when plentiful, making it available during dry periods and extending the chain of uses. The ‘Rs’ refer to three elements of water buffering in a landscape. Recharge is about adding water to the buffer through infiltration. Retention is about increasing the size of the buffer by slowing down the water cycle. And reuse is about circulating the water as much as possible. Enhancing each of these processes reduces unused runoff and evapotranspiration. Many of the watershed activities in Tigray are based on the 3R principle and a repertoire of measures have been put to use by government programmes and individual farmers over the past ten years. They include physical measures (deep trenches and hill side terraces with earth or stone bunds, gully treatment, micro-basin and pitting for plantation) and water harvesting measures (river diversion, mini-dams, check-dam ponds, open hand dug wells and spring development). Local initiative combined with leadership by the local government supported a high intensity of work and led to large scale change. An ‘out of the box’ solution that’s also proving successful is road water harvesting. In the village cluster, Kihan Tabia, examples of road water harvesting can be seen everywhere. There are many examples of road water harvesting being started through local initiatives and now supported by the regional and local authorities. For example, Ataklti has two hectares of land in which he cultivates rainfed crops on a rotational basis; usually sorghum, teff and wheat. Some of his land is adjacent to the road. About ten years ago, he realised that the water from the culvert was causing erosion because it was concentrated at one point. It was eroding his brothers’ land, which became unproductive. He decided to divert the water from the culvert to his farmland to help his brother and at the same time benefit his crops. It was his own initiative to build bunds, but a few years later the government and the community helped him to strengthen the structure. 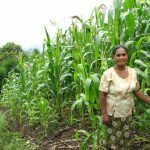 The productivity of his farmland has increased and his brother is again able to cultivate rainfed crops. There hasn’t been any conflict with neighbours downstream over the use of the water from the road. And, when he has excess water during the rainy season, he lets the water flow to other farms. 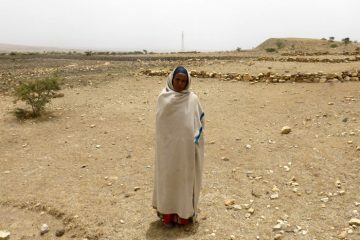 Similarly, Tsadkan Berhe, from the same village cluster, has been diverting the water from the road to her land for over ten years. She has one hectare of land, where she also cultivates teff, sorghum and wheat. The bunds were built by the community as part of the Productive Safety Net Programme. The water coming from the road is extremely valuable, particularly for irrigation during dry spells in the rainy season. The quantity and quality of her crops have increased thanks to the water collected with the road. The extra water in the growing season allows her to apply fertilizers which increase her productivity. And, she is now able to feed her cattle during the dry season. With many watershed improvement options, selecting those that are locally appropriate is not trivial. In Wukro, Tigray, a stakeholder technology selection workshop identified bench terraces with hillside cisterns as a top priority for conversion of steep, often degraded hillsides into cultivable land. The workshop was organised at the end of 2012 by the WAHARA project, an EU-funded project aiming to increase the potential of water harvesting. Participants included representatives from the regional government, NGOs, educational institutes and local farmers. The development of bench terraces has evolved from trials to a regional programme targeting the estimated quarter of a million landless youth in Tigray. The Embahasti sub-basin provides a successful example of the programme. 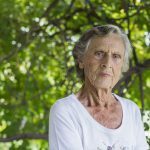 A hillside of 15 ha has been converted to terraced land and is collectively owned and managed by 15 young women and 10 young men. Over the past two years the group has managed to meet its livelihood needs and make a saving of US$700. A series of watershed programmes in Tigray is largely driving changes across the landscape. 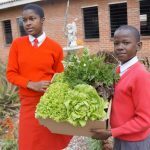 This story shows that local farmers and landless youth negotiate this evolving context and shape their experiences. It shows that large scale watershed management with strong government ownership can be successful – rather than becoming a ‘white elephant’ – if it includes people’s participation, stimulating farmers and local experts in the watershed to adapt innovative and creative solutions to improve their livelihoods. Marta Agujetas Perez and Frank van Steenbergen work for MetaMeta, a social research and development company. Kifle Woldearegay is a faculty staff member at Mekelle University, Ethiopia.